Advanced Co Q 300™ is a formula combining three of the nutritional ingredients that you have been looking for. These are Coenzyme Q-10, Potassium, and Magnesium. Co Q 10 is a powerful, fat-soluble, vitamin-like substance found naturally in all forms of animal life. It is biosynthesized in the membranes of cells and is vital in the production of energy. It is a power plant of the body that is found in most cells, with especially high concentration in the heart. Co Q10 functions as an antioxidant, which neutralizes free radicals that damage cellular material. 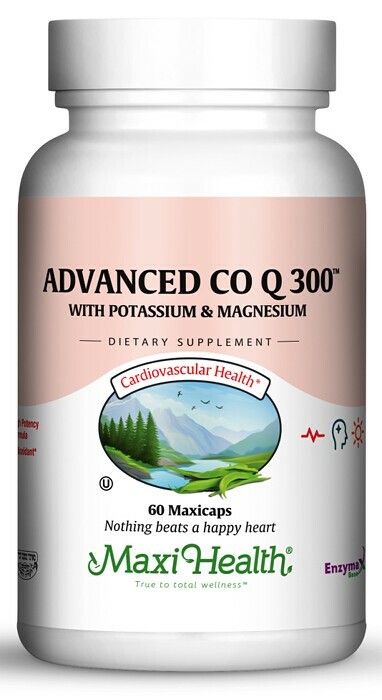 Magnesium and potassium support many functions and work well with Co Q 10. If you want an advanced Co Q10 formula, get Advanced Co Q 300™! Other Ingredients: Vegetable cellulose (capsule), vegetable magnesium stearate,silicon dioxide, microcrystalline cellulose, Enzymax® (calcium carbonate, bromelain, papain, lipase, amylase, protease, silica). My 18 month old daughter had allergies and eczema. We gave her Panto C and it cleared up with no reoccurrence!